Competitive High School regular season comes to a close. The High School regular season came to a close last night. We’re extremely happy with how competitive the league played out. All you have to do is look at last night's scores to get an indication. Escondido Charter defeated SD Inline South 7-6. Scripps Ranch Falcons defeated SD Inline East 5-4 in a game that ended as a tie and went to a shootout that the Falcons eventually won. Escondido Charter defeated Westview Wolverines 5-4. Three 1-goal games with one game going to a shootout. 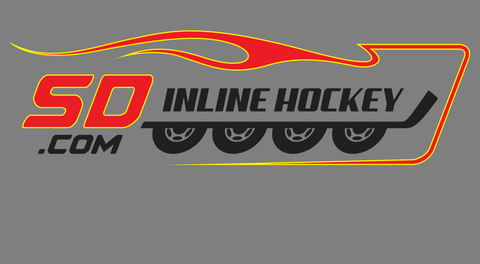 SD Inline South and Escondido Charter ended up tied with 10 points. They split the regular season series. On September 26th, SD Inline South defeated Escondido Charter 7-6, then last night Escondido Charter defeated SD Inline South by the same score, 7-6. Since they ended up tied in points and split the series head-to-head, the next tie breaker is goal differential, so SD Inline South comes out on top and grabs the #2 seed to end the season. 6:15pm #4 Westview Wolverines VS SD #5 SD Inline East. 7:15pm #1 Scripps Ranch Falcons VS #2 SD Inline South - HIGH SCHOOL GOLD CHAMPIONSHIP GAME. 8:15pm #3 Escondido Charter VS 4/5 Winner - HIGH SCHOOL SILVER CHAMPIONSHIP GAME. A few notes: For playoffs/championship, if games end in a tie there will be a sudden death overtime period. Games will be determined in continued overtimes if necessary and will not go to a shootout! Also, keep in mind players must have played 3 regular season games and be properly rostered to compete in the playoff/championship. To be honest, stats for this first league were not easy to keep and hopefully with everyone's cooperation it will become easier. We don't feel completely confident that the goalie stats are accurate due to a multitude of reasons. It is worth noting that out of all of the great goalie performances we witnessed this season the one that stands out is the performance by Matthew Mahlow of the Westview Wolverines on October 24th. 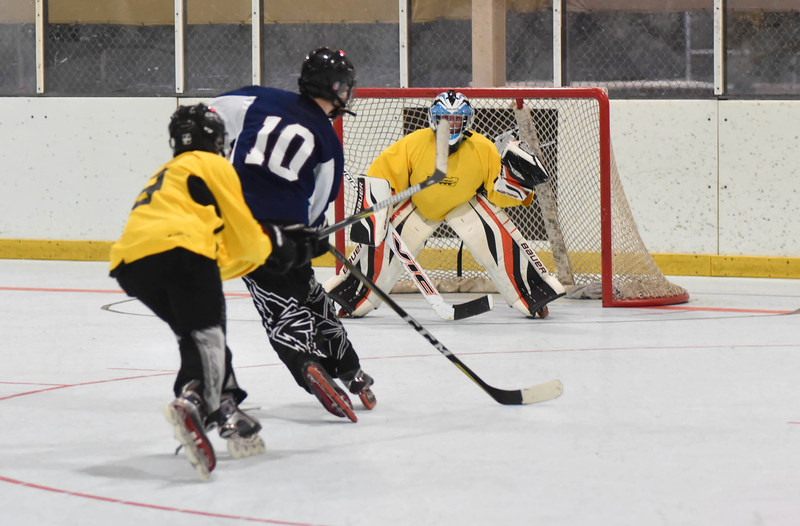 Matthew recorded the only shutout in the 20 regular season games played and saw over 20 shots that night as the Wolverines defeated SD Inline East 5-0. We appreciate your support and wish everyone luck next Wednesday Night! Don't forget about our Awards Banquet/Skate/Potluck on Friday the 16th at 6pm. Awards and giveaways will be handed out and it's going to be a great event! Last thing, get registered for the Winter Season ASAP!